This story first appeared in the November/December 2018 issue of New York Tennis Magazine. Click Here to see the full issue. The local tennis community has some of the sport’s finest facilities and some of the top coaches in the world. With this wealth of talent available, New York Tennis Magazine took the opportunity to pick the brains of some of these coaches. What you will find below are some of the sport’s top instructors sharing their ideas on the return of the New York Open to the area, the parent’s role in junior development, cheating in the sport, in-match coaching, and much more. 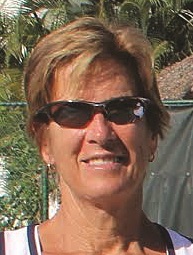 Lisa Dodson is the Developer and Owner of Servemaster, a USPTA Elite Professional and a former WTA world-ranked player. She is also a national speaker, serve specialist, and is currently the Director of Tennis at Shenorock Shore Club in Rye, N.Y.
John Evert is the Founder and Managing Partner of the Evert Tennis Academy. John has developed and managed top junior, collegiate and professional players for over 35 years. Prior to establishing the Evert Tennis Academy, John was the Vice President of IMG’s Tennis Division where he served as an agent for recruiting and developing tennis talent. At the Evert Tennis Academy, John has coached and developed players such as Andy Roddick and Madison Keys and numerous other professional players, as well as many National and NCAA Champions. John has been a consultant for the USTA, Chinese Tennis Association and works closely with coaches and Federations located in Central America and the Bahamas. John also advises Lacoste, Wilson and Nike on their junior sponsorship programs. 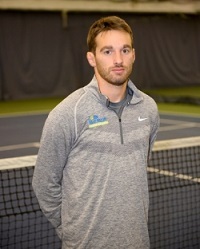 Raised in Ludington , Mich., Luke Jensen’s resume includes 10 ATP Tour Doubles Titles and singles/doubles victories against Andre Agassi, Pete Sampras, Ivan Lendl, John McEnroe, Bjorn Borg, Jimmy Connors, Boris Becker, Stefan Edberg, Jim Courier, Patrick Rafter, Michael Stitch. Luke and his brother, Murphy, won the 1993 French Open Doubles Title. He was also a member of the U.S. Davis Cup Teams that reached the finals in 1991 and won in 1992. His ambidextrous play, including his ability to serve the ball with either hand at 130 mph, earned him the nickname “Dual Hand Luke.” Luke is currently Director of Racquet Sports at the West Side Tennis Club in Forest Hills, N.Y.
Jay Kang is currently a Senior Staff Professional for New York Tennis at Great Neck, where he works with Junior Development and High Performance Players. Jay has taught more than 400 students during his 19 years as a teaching professional, and was a former nationally-ranked junior and Division I collegiate player. Jay has a passion for junior development on and off the court, and believes there are no shortcuts in teaching students—both instructors and students must commit to the craft equally to be successful. Since 2007, Whitney Kraft has been the Director of Tennis at the USTA Billie Jean King National Tennis Center in Flushing Meadows, N.Y. and Director of Player Operations for the U.S. Open. 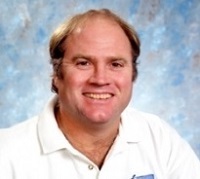 Previously, he was Director of Tennis for the City of Fort Lauderdale Park & Recreation Department (1998-2007). He was a 1983 Singles All-American for Florida Atlantic University, and inducted into their inaugural Athletic Hall of Fame class in 2006. Ed Krass coached the Harvard Women’s Tennis Team to four consecutive Ivy League titles from 1986-1990. Ed is the Founder and Director of the Annual College Tennis Exposure Camps, which are taught exclusively by all head college coaches for high school-aged players (15-18). Ed is also the Founder of One-On-One Doubles tournaments, which have been played at USTA, ATP, ITA and USPTA national events. Greg Lumpkin is the Associate Director for JMTA Long Island. A native Long Islander, he attended Hofstra University where he earned a spot on the varsity tennis team as a walk-on. He also spent time working under a world-renowned physical therapist from whom he learned about injury prevention, treatment and management, as well as kinesiology and biomechanics. He is also an expert in slow motion video analysis and has used it successfully in the development of top juniors throughout his coaching career. 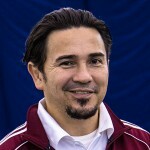 Xavier Luna is the Director of Junior Tennis for the Advantage All-City Junior Tennis Programs. Xavier has more than 30 years of experience in tennis, commencing as a ranked junior. He was the Director of Junior Programs at Stadium Racquet Club, the Owner and Founder of Metro Tennis Academy, and has held many other positions in the tennis industry. Xavier inspires players with his love of tennis and possesses the professional skills to keep campers returning year after year to the All-City Junior Tennis Programs. Conrad Singh is the Chief Operations Officer of Tennis and the Director of Coaching at Centercourt Performance Tennis Academy. He has held Head Coach and Director positions in Australia, England, Japan and China, and has been involved in professional tennis player development for well over two decades. Singh came to Centercourt from Shanghai, China, where he helped to develop a top high-performance player program, which saw more than 200 athletes train under his system. Jason Spiers is the Owner and Director of Tennis of Empire Tennis Academy. He became a doubles player at the national level while studying at Assumption College, where he held a ranking of 24 for Division II, and was third in the Northeast Region. 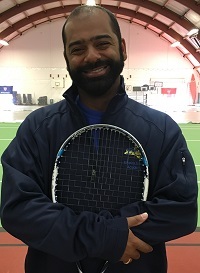 After 12 years of teaching tennis in New York City, and eventually becoming Director of Tennis at Roosevelt Island Racquet Club, he has returned home to Rochester, N.Y. where he directs his own program, Empire Tennis Academy. In his free time, he volunteers as an active USPTA First Vice President and Educational Chairman, and runs his own charity foundation, Tennis Saves. He was also awarded the 2015 USPTA Pro of the Year. Khrystsina Tryboi is currently the Director of Marketing for MatchPoint NYC. 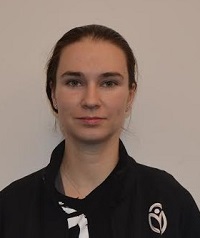 She is a former Division II tennis player from Belarus, and is currently working for MatchPoint NYC in their QuickStart tennis program and is leading their marketing team. She is highly involved with USPTA and USTA to help grow the game. What positive impact have you seen from USTA’s Net Generation initiative? Luke Jensen: A laser-like focus on first to last swing performer performance … accountability and action with a motivated staff. Jason Spiers: On-court, I’ve seen the confidence of the children skyrocket because of the innovative drills and games curriculum from Net Generation. It allows the kids to be constantly active, experience high levels of success, and empowers the kids through self-feeding. This keeps many of the kids continuing in our sport. 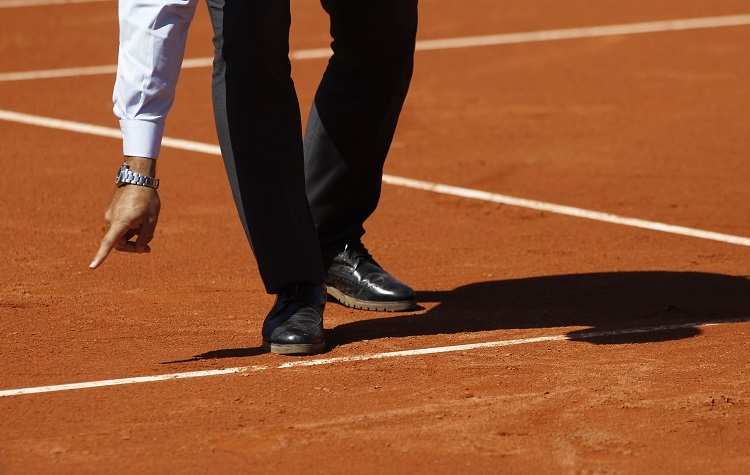 Off-court, as a Director of Tennis, it makes life easier giving a curriculum to staff with professional videos and well-written descriptions so they can deliver the curriculum properly. Khrystsina Tryboi: The USTA has done a tremendous job with the promotion of the Net Generation initiative, which in turn should start helping clubs see greater participation within their programs. For a greater impact it would be nice to have programs with the schools where every child can participate in a tennis lesson of some kind. 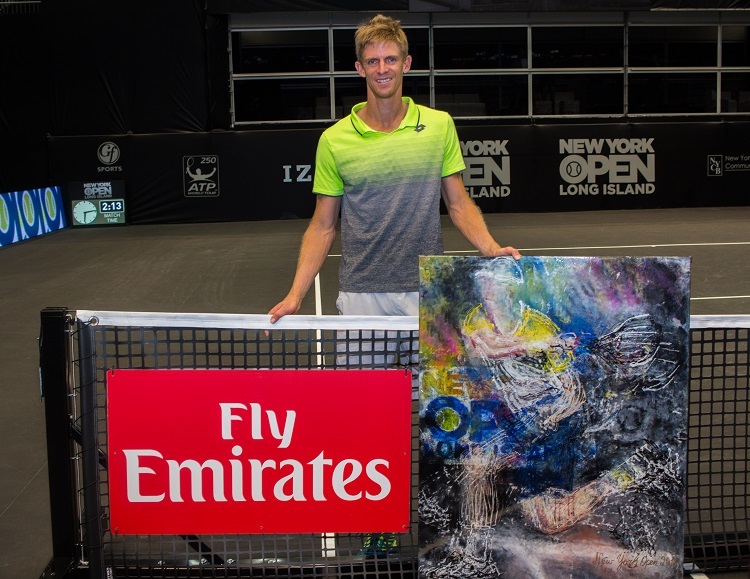 What do you think the New York Open, now in its second year, can do for growing the sport of tennis in New York? Whitney Kraft: The talented folks behind this event are already doing yeoman's work by connecting to the communities and organizations around the Tri-State area. They have many innovative ideas and activations planned to create positive action and experiences around the event within and around NYCB LIVE. All this is a win-win for both the New York Open and tennis on Long Island and New York, as it brings people together playing, spectating and socializing. Conrad Singh: International tennis events at the 250 level, such as the New York Open, create an opportunity for the local tennis community to come together and grow participation. The New York Open should ignite a spark through academies and tennis clubs within the area, high school teams and coaches, colleges and young aspirational players, as well as tennis families to come together. Being on the opposite side of the year to the U.S. Open and being such an intimate tournament where the players feel very accessible, I believe this can be a big factor in growing participation and bringing the tennis community together as a whole. It is a wonderful chance for coaches and tennis directors to bring their students and the families of the students together to create stronger relationships and enjoy the sport outside of the regular weekly arrangements. Khrystsina Tryboi: The New York Open can revive the interest of tennis in our amazing city. It’s always great to have an event that you can look forward to attending the entire year. In its second year, we can hopefully see greater participation from people who are casual players and those who’ve seen the Net Generation advertising. What role does the parent play in their child’s tennis training? What are some common mistakes you see from parents? Luke Jensen: Parents must be their child’s life coaches. Use the same approach used in the academic approach. Allow the teachers to teach, and parents shape attitudes and effort. A parent’s biggest mistake is turning into the tennis coach or the classroom teacher without any expertise in the field. Too many parents look at the score instead of attitude as the measure of success and failure. Ed Krass: The biggest role a parent has is to be mentally, emotionally and hopefully financially supportive of their child's tennis goals and dreams. Making yourself available to drive to tournaments and watch without interfering is the great balance that is sought after! The biggest mistake is when a parent wants to coach and/or teach their child anything about tennis before, during or immediately after the tournament or practice session. 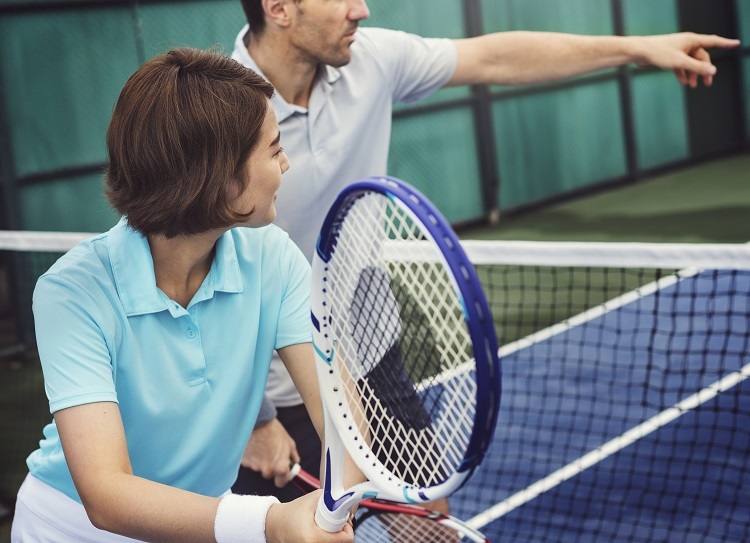 No matter how great a parent's tennis background or lack thereof, most kids appreciate another different voice when it comes to tennis coaching. Love, respect and logistics-planning should be the parent’s primary objectives when raising their tennis-playing child. Xavier Luna: A parent’s role is to be supportive. They need to be brought to and from practices … there is the sacrifice of taking weekends off to bring them to tournaments and no one can do this better than a parent. There is a lot of managing off the court that needs to be done as well, such as physical training, the analyzing of research, ensuring that their child isn’t under too much pressure and managing the balance of their child’s emotions. What is your opinion on in-match coaching, whether it be at the junior level or the professional level? Do you think it should be allowed to some extent? 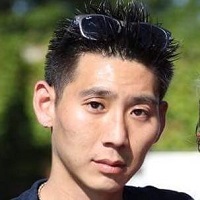 Jay Kang: Juniors or pros, I don’t think coaching should be allowed. We don’t let students study for finals and ask teachers for hints. Likewise, all players should be on their own during the match and learn to figure out a way to win. Xavier Luna: I think, from a coaching perspective, it’s better to allow coaching because it shows people the value of a good coach. However, this would be the only reason that I would advocate for in-match coaching. I think it is unfair for previous players who have played tournaments and matches without coaches. In addition, not all players are able to afford in-match coaching, and this could create a huge divide. For these reasons, I am 70 percent against in-match coaching and 30 percent for in-match coaching. Conrad Singh: As a Grand Slam tour coach for more than two decades, I can tell you that at the highest levels, all players are being coached to some extent when in matches. I believe the best way is that the coaches remain in their allocated seats and the players be allowed to walk to the coach and gain consultation. However, I think that this needs to be limited to three visits per match, lasting no more than one minute at a time. At the junior level, I believe it should not be allowed at all, as not every player has access to a coach being on-site. If we allowed it, the parents would most likely become the default coach, which I cannot see as a good thing for the development of the child. Many junior athletes don’t have the capacity to visualize their parents as a coach, and as a result, I believe this would lead to further breakdowns. What I would like to see is kids using notebooks and coaches comments or notes and read those at the change of ends to help encourage in-competition independence and also problem-solving skills. What advice would you give a junior player who is struggling with the balancing of practice and schoolwork? Lisa Dodson: It’s probably best to scale back on tennis if schoolwork becomes a struggle. 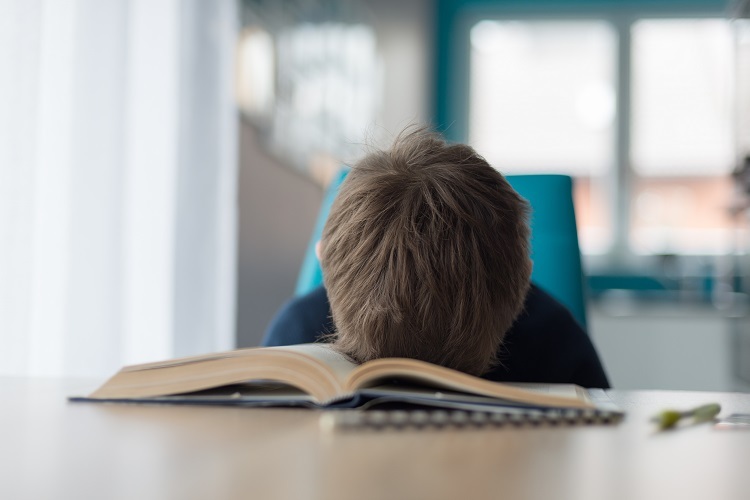 Unless the player is able to leave the worry about school “at the door,” then they won’t be present enough to make their tennis practice beneficial. In fact, tennis may become frustrating, so neither activity will be satisfying. John Evert: Balancing school and tennis practice depends on age and priorities. Everyone is different. At the Evert Tennis Academy, we take academics very seriously and that is why we offer a variety of options. I will say that if the child is trying to play at the highest level, they need to practice twice a day because that is what their competitors globally are doing. The good news is that home schooling and online schooling are getting better and more recognized by colleges. Jason Spiers: Rarely do I have a junior expressing they are struggling with the balance … it’s usually the parents. However, if it is a student, we approach it just like any other aspect in tennis; we identify the problem and then dedicate time working on the weakness. If that means cutting out tennis time for tutoring, so be it. I don’t know many parents who are willing to pay for tennis if their child’s grades aren’t satisfactory. The Universal Tennis Rating (UTR) has become a major factor in junior tennis over the last year or so. How have you or your players utilized this ranking system and has it been beneficial? Whitney Kraft: UTR is changing every day and provides for accurate data derived from head-to-head results. Level disparities have always been a challenge for matching players. UTR provides a platform to ensure players are matched accordingly providing for close contests. As well, it bridges gender and age, and allows for more play options. All features customizable by the host and or organizer. UTR provides accuracy with the volume of play, therefore, motivating players to play more and work to increase their individual level. Ed Krass: The UTR is a big benefit to our juniors in that they will now get credit for playing and losing close matches to players ranked above them. The UTR's sophisticated algorithm for rating players seems to be a very accurate way to rate players, from one to 16, with one being a beginner and 16 being one of the top ATP players in the world. I use the Universal Tennis Rating to do all my tournament event seedings and to place juniors, attending my College Tennis Exposure Camps, into their initial groups. What advice do you give your students on dealing with a situation where they feel their opponents are cheating? Jay Kang: When your opponent is cheating, there isn't much you can do as a junior tennis player. You just have to stay positive and learn to control your emotions. Of course, getting the refs to watch would be helpful, but they don’t stay more than a couple of points anyways. Greg Lumpkin: Tennis is one of the only sports that is self-refereed. Unfortunately, this opens the door for players to cheat and frequently get away with it. The biggest mistake I see tournament players make when they think they are being cheated is to get into a big argument about the call. Arguing a call almost never gets the result they want, and often leads to losing focus from the match. It is usually best to assertively ask if they are certain about the call. Then it is best to move on to the next point. If the problem continues, the players should get a line judge to watch the match. I personally love when my students have to face adversity and let it be known that if a player has to cheat, then deep down they don’t believe they can win the match. Conrad Singh: Cheating in tennis is really hurting the sport globally, and we need to get back to the old habits of players being very concerned about being labeled as a cheat. This can only be done by programs and academies ensuring to treat this topic as a priority. I try to ensure that my players understand that getting involved in these types of distractive behavior cannot end well, and will certainly cause a loss of momentum and or complete loss of focus. I teach them to first, give the benefit of the doubt, but question politely so the player cheating knows you won’t let them get away with it. If it happens again, simply call for the referee to be present and remain focused on your goals. If this persists, demand for the referee to remain on-court. Remain focused on playing with more spin, giving more margin for error and to understanding that playing to big targets will reduce the likelihood of bad calls. We need to remember that it’s impossible for a cheat to not be caught or stopped at some stage. I have never seen a junior who cheats go on to become a top junior or pro. What advice would you give to a student who wants to end their relationship with a coach because they feel they are no longer improving? Greg Lumpkin: Coaches and players often have very close relationships. This complicates things when the player or parents feel progress has come to a halt. Plateaus are a normal part of a player’s development and need to be worked through, however a coaching relationship can go stale. I believe communication is key in this situation. Sometimes a simple conversation with the coach can spark the changes needed to get back to making improvements on your game. Coaching changes are normal and when it is the right time to make a switch no time should be wasted. It is a very rare that a high level player hasn’t had multiple coaches along the way. On the flip side, if you find you are changing coaches every year, that can have a negative effect with progression as having familiarity and continuity plays a role in advancement. Xavier Luna: The best advice would be to be completely honest and to communicate with their coach. Every coach and player relationship is built on trust, and if a player believes that they are no longer improving, it is pertinent to express this concern with their coach. This could help a player communicate their concern so their coach could adjust the strategy to help them or they can both come to a mutual agreement to move forward with another coach for the players own benefit. Jason Spiers: This is always a tough and delicate situation. I would suggest reviewing your developmental plan to make sure both the player and coach are on the same page. Oftentimes, they aren’t. Some coaches assume they know best and force their philosophies on a student without corroborating together first. Sometimes, the players have the wrong idea of what improving means. There are many players, both juniors and adults alike, who think hitting hard or winners is the only way to improve. 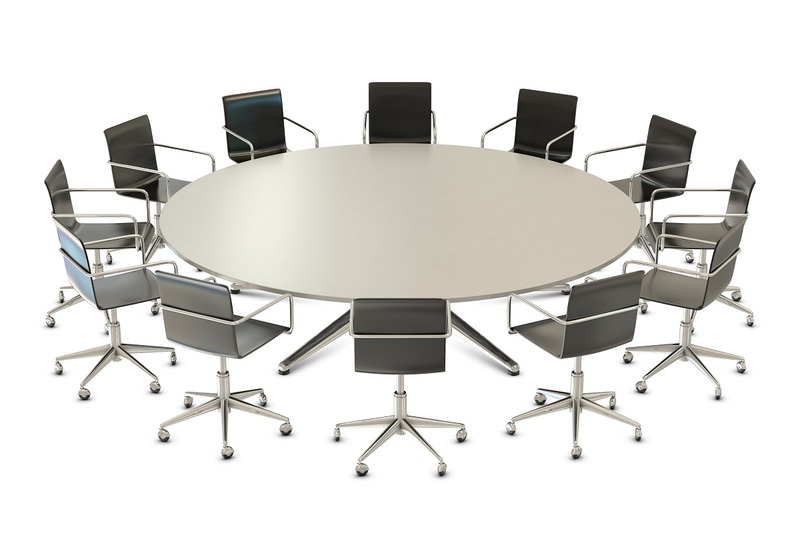 But at the end of the day, if neither the coach nor the player can get on the same page, then agree to disagree, and search for a coach who shares similar values. Name the best things about the current landscape about tennis in New York and name some of the glaring issues where improvements are needed? Luke Jensen: There are extraordinary coaches and programs, and great opportunities for all levels of play. Leagues are competitive and awesome for growing the game. It will always have a natural limit to the number of indoor options. Indoor tennis is expensive, and the trend of losing indoor courts instead of building indoor courts across the rust belt continues to be a real concern for me. Greg Lumpkin: Tennis is currently thriving here in New York. With the volume of private clubs, country clubs, public clubs and public courts, access to playing tennis has never been easier. Everyone has the opportunity to play and receive skilled coaching. On the flip side, to be a competitive tennis player, you do need to play more than once or even twice a week. Lessons and group programs can get costly compared to other parts of the country. Court time gets pricey as well in the winter months, compared to warm weather states where I have seen court time in private clubs for as low as $2 an hour! Whitney Kraft: Lots of great Community Tennis Associations are working tirelessly to grow the game along with talented sectional/regional staff. Some glaring improvements that are needed: Navigating the competitive tournament schedule especially for youth players and their families. There is a dearth of competent coaches/tennis teaching professionals, but we also do need an influx of talented, engaging and competent teaching professionals. How should a player go about choosing their coach and how should they know who would be a good fit for them? Lisa Dodson: This can be a very important decision. The coach needs to be available, positive, organized and understanding. Going to the busiest and most sought-after coach may not be the way to go as they have less and less time to provide personal attention. The player’s emotional needs come before skill set. Most reputable coaches can teach adequate strokes, but not all of them can provide the mental and attitude coaching that kids need most. John Evert: Great question! Choosing a coach requires trust, belief and passion. It is important that the coach is experienced or knowledgeable, but it is essential that the coach is committed. The best developmental coaches put their ego aside and do what is best for the player. At Evert Tennis Academy, we hand-pick our coaches to ensure program quality and personalization. Jay Kang: Finding a perfect coach for a student is very tough. Students must trust the coach's ability to guide in all aspects of the game, especially the non-tangibles for tournament players. Just like hiring any other professional, ask for student/parent references and also find out about their reputation as a coach. Ed Krass: A player should choose their coach after previewing and taking a few lessons first. Hopefully, the player and parents really like the coach’s background and bio before the lessons take place. If there is a good communication style coming from the coach and the player can feel good progress is being made, then we have a good match between player and coach.